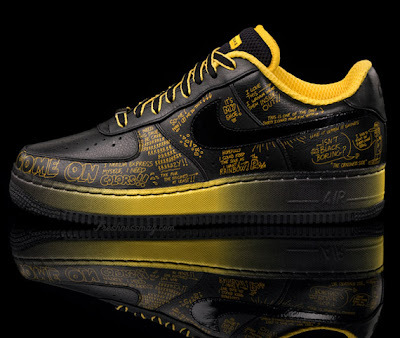 Nike and Lance Armstrong continue their collaboration to fight cancer with the Busy P Air Max 1, part of the anticipated Stages Pack. Busy P. Pedro aka Pedro Winter took time out of his schedule to help out AF1 with their project to unite 18 different collaborators around the world - all to fight cancer. 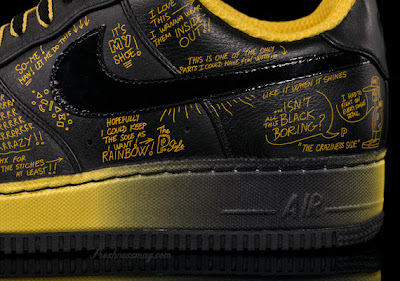 This sneaker is covered in cartoon conversation from top to bottom, literally with different statements as you can see below. 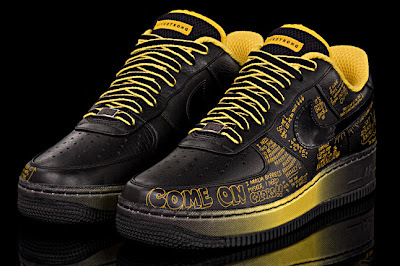 Aside from that, it has the upper of a normal AF1 black sneaker, but the inside is covered in yellow mesh and the Livestrong logo is on the tongue. 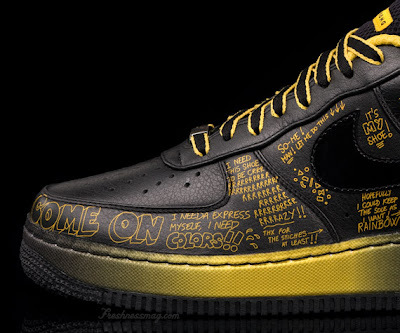 There's no denying it though - this sneaker breathes pure fire! Its set to drop TOMORROW July 26th folks, so if your in Melbourne where its gonna drop go swing by Provider and grab a pair!